Stocks are down for the seventh day in a row (in Asia) over concerns that China may try to slow their economy. 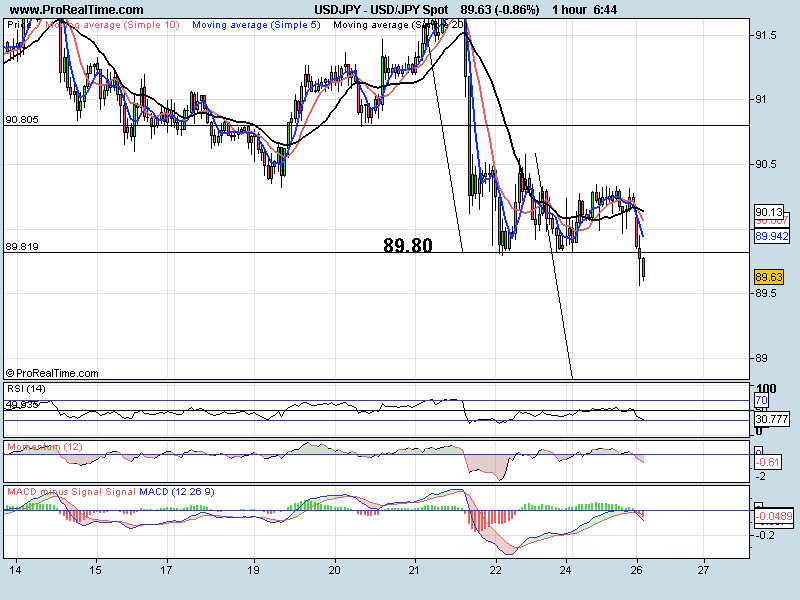 USD and YEN have strengthened. 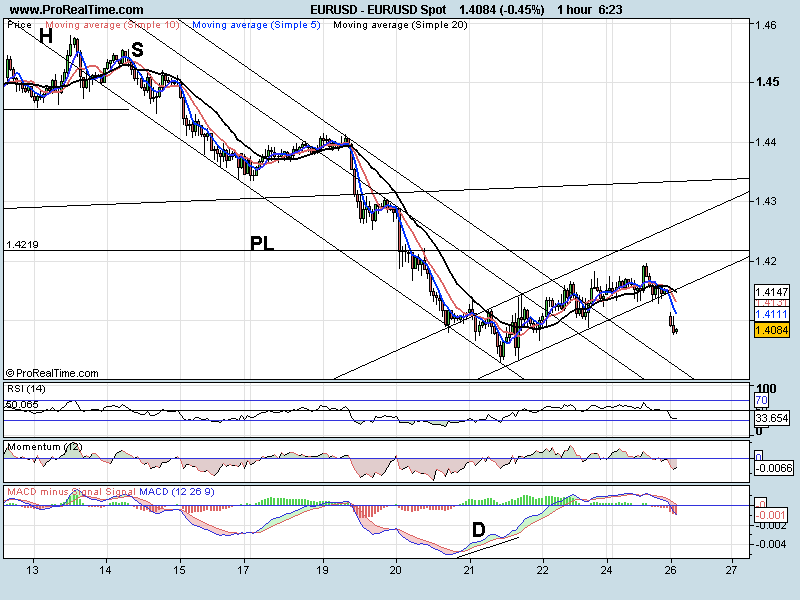 EURUSD has pushed out of the channel at midnight (GMT) and the pair pushed down impulsively. If we look to the daily chart we can see a doji from yesterday that signals the indecision. The first target area will be the previous resistance line (now support) and the previous low at 1.4025. 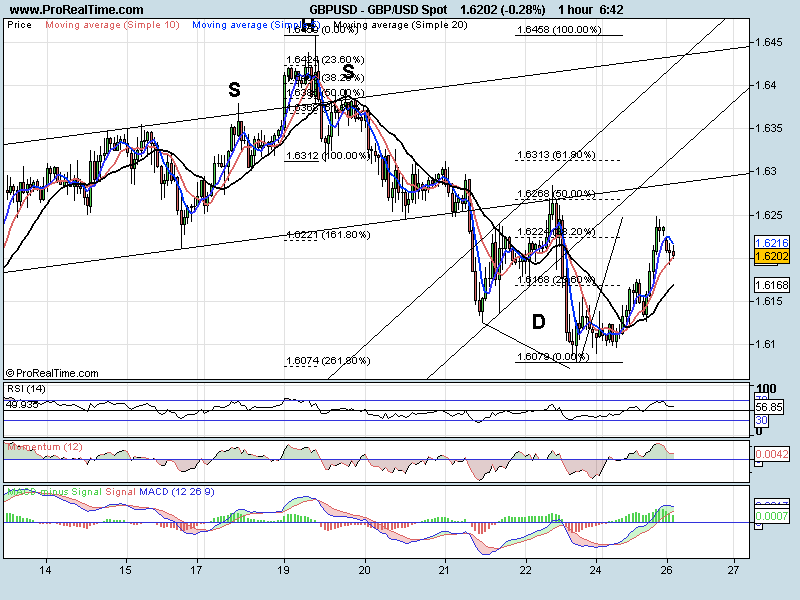 Impulsive move up in GBP yesterday, maybe in anticipation of the GDP figures today at 9.30. We have pulled lower overnight with the overall USD strength. We did reach between 38.2-50% of the whole moved down (16249) so this may be the end of the correction. Signals are turning bearish but we are still in the buy zones. If we push above 1.6250 then this from 11.00pm (GMT) may just be a small correction in a larger ABC sequence that could take us up to 16313. A move lower, after the figures, should be impulsive and target the low quickly. Look to the daily chart. We have three separate types of doji for the last three days, all inside this corrective channel. Breaking higher now. 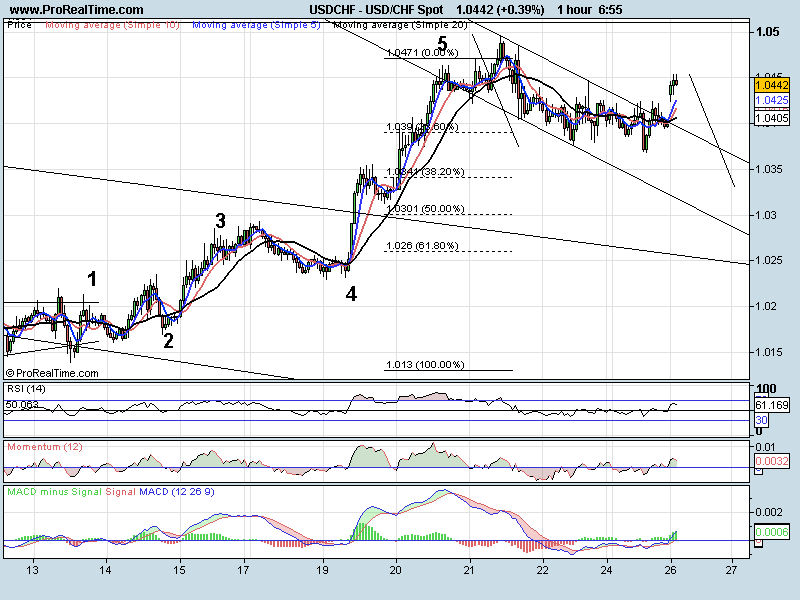 If the wave count is to be believed this should be an impulsive third wave and take us up to 1.0511 quickly. Only a break back inside the channel would suggest that the ABC correction has not finished yet. Just as I finish the report S + P are saying something about the Japan economy. I do not have the full story yet but it is reversing the current trends as I write.